Eurodollar rebounded from level of 50% (1.3789) and I decided to close my upper sell orders, keeping just one order in case current correction continues. If later price rebounds from level of 61.8% (1.3762), I’ll consider opening long positions. 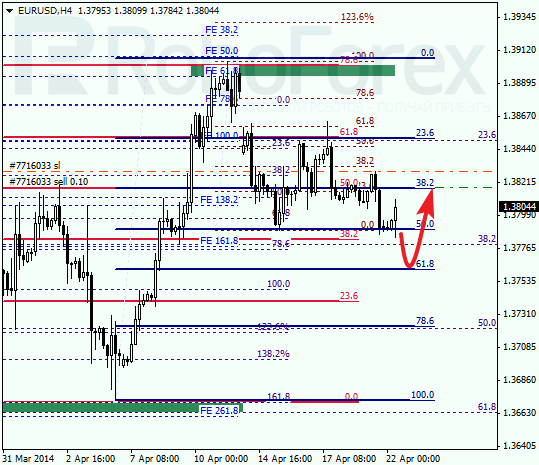 As we can see at H1 chart, local correction got very close to level of 61.8% (1.3812). During the day, Eurodollar may start falling down towards the group of lower fibo levels. If market breaks them, price may continue falling down very fast. Yesterday Franc reached new local maximum and continued growing up. I’ve closed my first two orders with profit, because current correction may finish in the nearest future. However, I’m still keeping one order in case price may try to test higher targets. 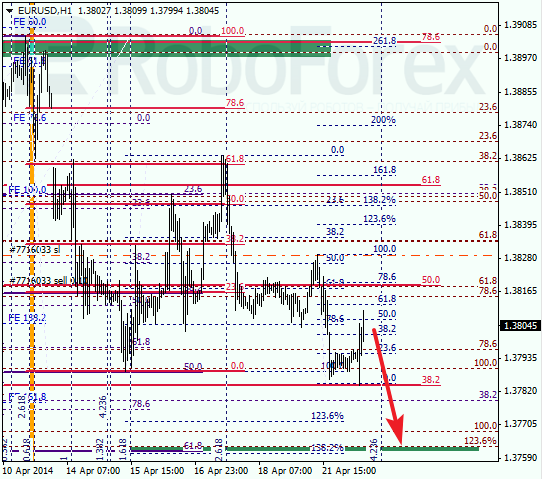 As we can see at H1 chart, Franc reached the group of upper fibo levels. Right now, pair is consolidating, which means that price may continue moving upwards. 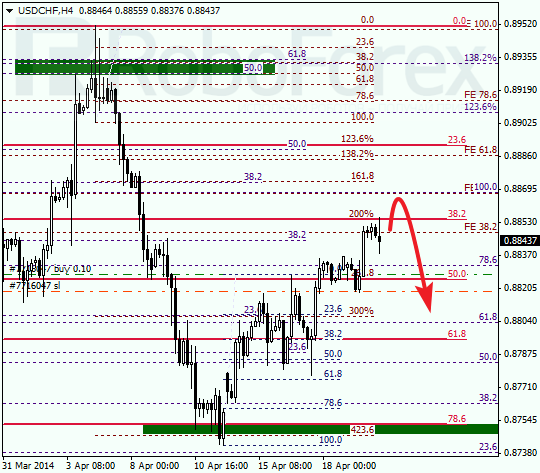 Closest target is near several fibo levels near 0.8867.